Last week, Sony revealed PlayStation 4 1TB Ultimate Player Edition for UK release, and shortly after, we got to know of an updated version of its eighth generation home console that comes with slight technological improvements and consumes less power compared to the standard model. 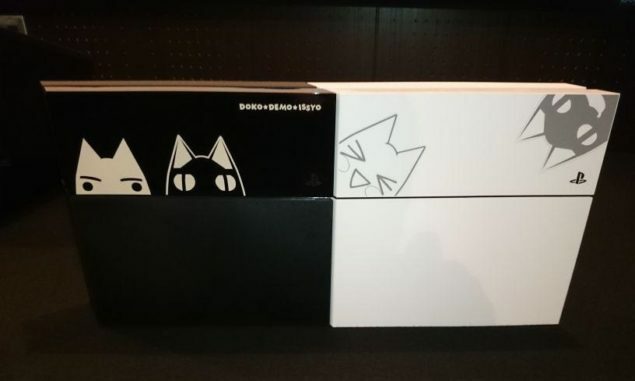 The new PS4 model with product code CUH-1200 was released for purchase a few days ago in Japan, and first videos and images have finally started to appear on the internet, giving us a glimpse at how the new variant differs from the previous version of the console. The new lighter, more power efficient variant of Sony’s flagship video game console comes with a matte finish on its hard drive cover instead of the glossy one that sits on previous models i.e. CUH-1100 and CUH-1000. But that is not all, there are physical as well as technical differences, as explained by Twitter user Marine, who tweeted screenshots of the new console sitting next to the older model, detailing the differences between both. Among other minor changes, the new PS4 model CUH-1200 weighs 10 percent lighter than the previous 500GB model, and uses 8 percent less power, which means the rated power consumption of the new model is 230W instead of 250W. 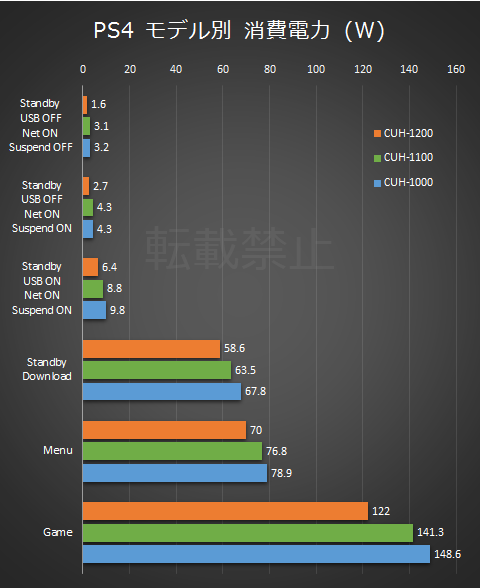 However the real power consumption of the new console has reportedly been reduced by 18 percent from 148.6W to 122W. Performance test shared below shows how much power do all the three PS4 models consume while performing different tasks, you can check it out for yourself below. Following are the details and screenshots shared by Marine, showing the physical differences between new PS4 model CUH-1200 and the older model, and explaining the technical differences including less noise and power consumption. In addition to all the details above, we also have the first unboxing video and short review of the new PS4 model CUH-1200, courtesy of YouTube user AIRBORNE072167. You can check it out below.